Adults only. BYORefreshments (coolers welcome). $15, $12 for members, at the door. By candle light. Come as you are. Bring your friends and make some new ones. A dance floor for those who like to dance. 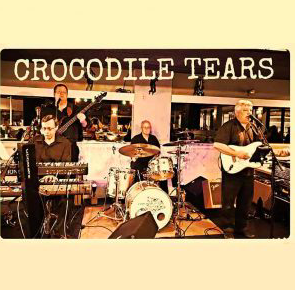 The Crocodile Tears play oldies and classic rock and roll, everything from Buddy Holly and Elvis to Van Morrison and Eric Clapton. Great for listening and dancing. With Troy Williams: Guitar & Vocals; Dana Henrique, Keyboard; Alan Peterson: Drums & Vocals; Tim Brosnan: Bass & Vocals. Come have some fun!